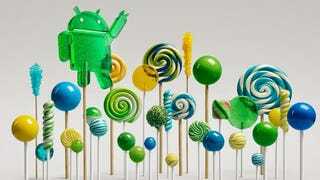 It's Google's latest and greatest build of Android, but 5.0 Lollipop is not without a few faults left to iron out. According to Google's issue tracker, the mobile operating system may be causing the battery of certain older handsets to deplete more quickly than they should. The Nexus 5 is the smartphone specifically called out for suffering from the battery problem, which sees power draining at a speedy rate should Wi-Fi be active. "Android Engineering is aware of an issue affecting Nexus 5 users running Android 5.0 which causes significant 'Miscellaneous' battery usage while WiFi is enabled," said Google Android Open Source Project Senior Developer Programs Engineer Trevor Johns in a blog post. Update: Google's bugtracker now lists this issue as fixed.